The iconic Teletubbies are coming to Nottingham next year in Teletubbies Live – their first ever theatre show created especially for little ones. Look out for the Tubby Phone, Noo-noo and Sun Baby as well as popular features from the TV series and brand new songs. 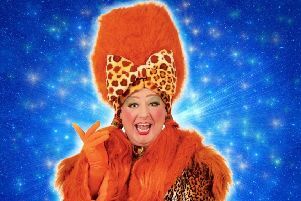 Featuring full-sized Teletubbies characters, bright colours, puppetry, songs and actions, the show is at Nottingham’s Theatre Royal on March 2 and 3 next year.